1. The ugliness I thought of Seattle’s jerseys. No worries, I love them now. 2. The flat top of Alonzo Mourning. Even with the graphics back then, Mourning stuck out like a sore thumb. 4. I thought Greg Anderson, the center for the Atlanta Hawks in 1995, was the same Greg Anderson who was my next door neighbor. He wasn’t. 5. 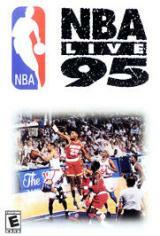 The fun I had with my friends playing the game (and also NBA Live 97 and 98) with no rules. The shoving you could do with players was hysterical. He could’ve been a better version of Scottie Pippen had his entire career been like his first six seasons. Like what’s already been said many times though, Hill continued playing, despite other opinions from his doctors, and carved out a solid career by transforming his game. Another one of my favorite players from the ’90s, but I never really paid attention to Jones after the Lakers traded him. He also was featured in this commercial from 1997, starring Shaq. It was way better than Kazaam. Hoop Dreams, the Fab Five, the cabbage patch, a web site devoted to his overreactions; solid career, Juwan Howard. Every time I look at his basketball-reference page I can’t get over his 30 point-10 rebound average in his last year at Purdue. Robinson also signed the richest rookie contract in NBA history at 10-years, $68 million. Money in the bank. One of the best mid-range shooters in his prime, Robinson was a two-time All-Star and one of my favorite players of the 90s. I still remember his basketball card and the rest of the Dream Team II in a Sports Illustrated for Kids issue. They were literally made out of cardboard, but I pretended it was gold. A versatile player in his prime who could play point forward, Rose played for six NBA teams, though I only remember him on three of them (Indiana, Chicago, and Toronto). One of the best energy players in his prime with some of the best hair the NBA will ever see. Google Images, man. Google Images. He has a soft spot in my heart because Minnesota traded him for the Googs, Tom Gugliotta. 9. Wesley Person — drafted 23rd by the Phoenix Suns. When I first came across him in NBA Live 97, I thought it was so cool that his last name was actually Person. My favorite Clipper of the 90s for no real reason other than he never missed a three-pointer for me in NBA Live 97. He was the real-life Billy Hoyle from White Men Can’t Jump.